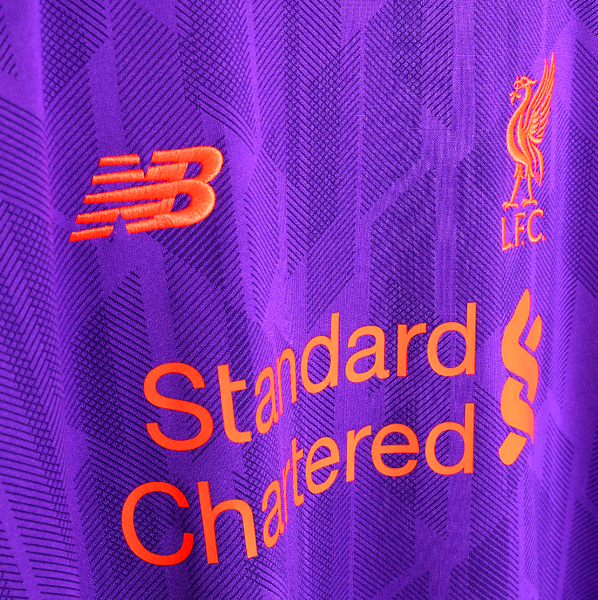 Liverpool have released images of their away kit for the 2018/19 season, opting for a purple kit with orange detailing. The English club, who will stick with their famous red strip for their first kit, have now shown fans the away kit for next season. Liverpool released images of the second kit on Wednesday, showing Virgil Van Dijk, Alex Oxlade-Chamberlain, Joe Gomez and Trent Alexander-Arnold in the new strip. The jersey has changed from white to purple, with kit providers New Balance opting for a 'deep violet' shade with bright orange detailing. The goalkeeper kit, meanwhile, is a vibrant green colour.